So seize the day, grab your deck chair and raise a glass of homebrew to your fellow allotmenteers! And don’t forget to send your veg plot photos to GuardianWitness for their National Allotment Week coverage. Have a great week and a bountiful harvest! Next Evil, or Simply Misunderstood? We visited two allotments recently – one in Glasgow, the other in Urmston. Both had a different character, but you could see the difference they were making to those communities. 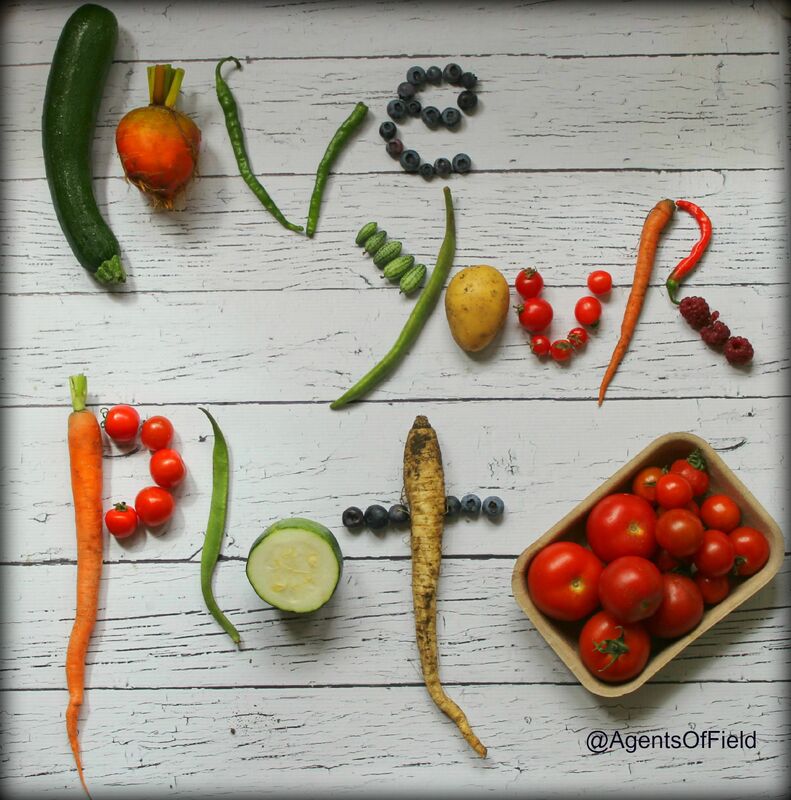 Just loved the “Love your plot” picture with your home-grown vegetables…….so imaginative and pure magic. Rock on! Yes allotments are increasingly important: offering fresh air, great exercise and cheaper than the gym, creative satisfaction when seeds germinate and grow into lots of lovely fresh produce to share with family and friends. Love the artwork! !